with high quality curb appeal. Stay leaf-free with maintenance-free gutter guards. expert commercial roof installation and repairs. We were the first reps to have the K-Guard Leaf Free gutter systems, and we provide services including the installation of leaf free gutters, gutter toppers, gutter covers, and gutter guards. For roof installation projects, our roofing experts provide homeowners with free consultations to discuss the options available to them to achieve their aesthetic vision while providing the utmost functionality. 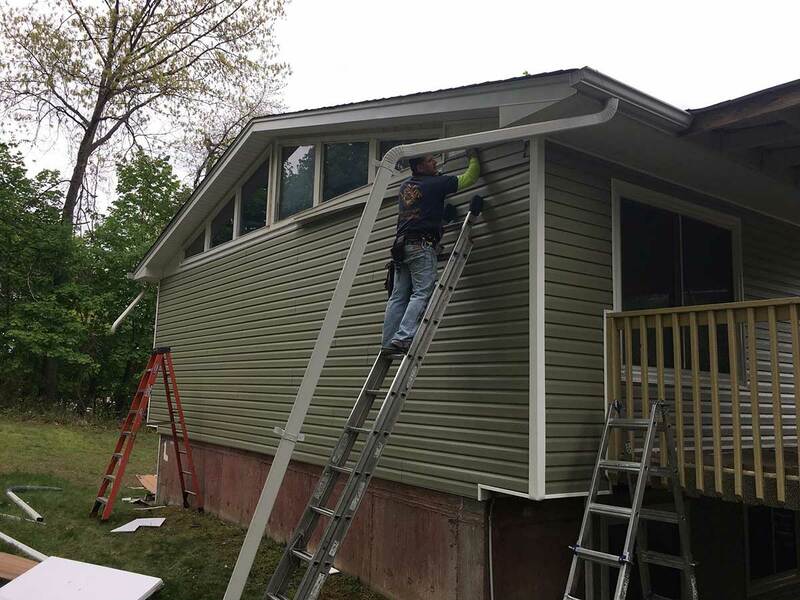 Our Home Improvement team installs all types of Siding, Shakes, Soffits, Capping and Hardi Plank. 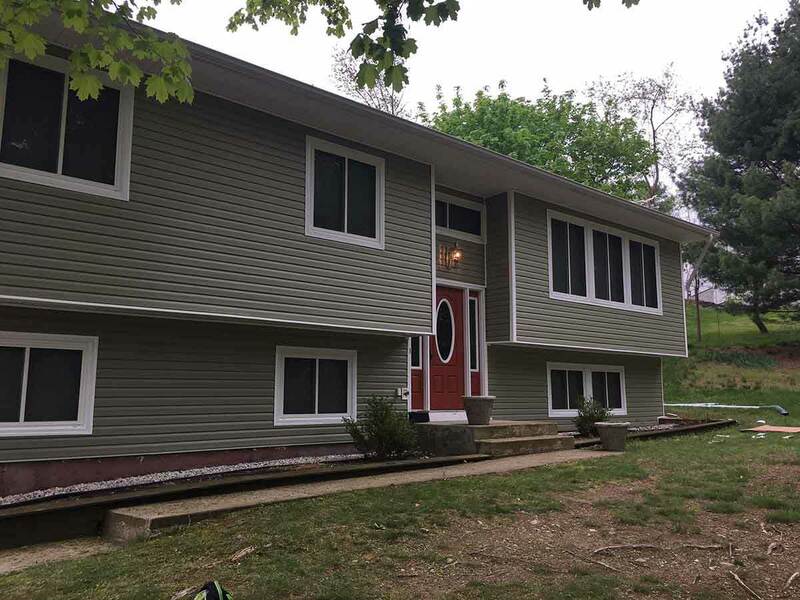 Our Vinyl Siding will also give you better curb appeal and allow you to have the best looking house on the block. Veneer Stone is a beautiful way to break up siding and add character to the front of the house. Versetta stone offers the beauty of traditional stone masonry with NONE of the hassles and withstands all climates. Our relationship with top window manufacturers has been strong for over 18 years, and we offer the best energy star rated window on the market. We are a proud Co-Partner Angie's List Top rated installer. While Leaf Free is best known for our broad range of residential home improvement services, our team also offers commercial building improvements for businesses in New York, New Jersey, and Connecticut. 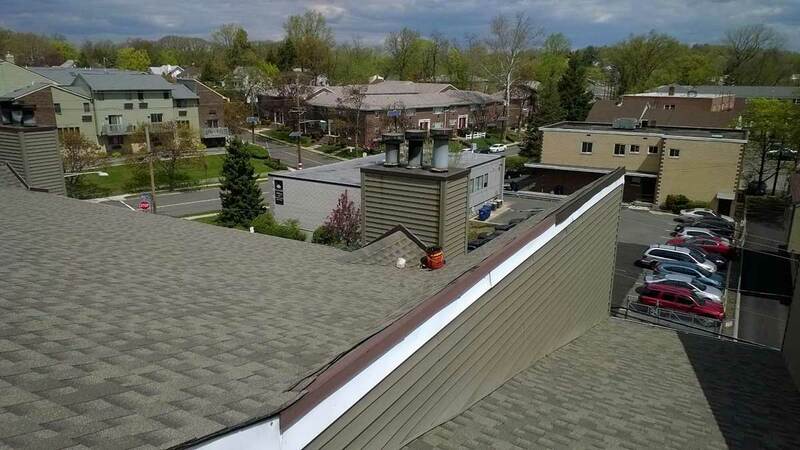 As a leading roofer in Bergen County NJ, we commit ourselves at Leaf Free Home Improvements to providing superior products, expert installation and repairs, and attentive individualized customer service to each of our clients. 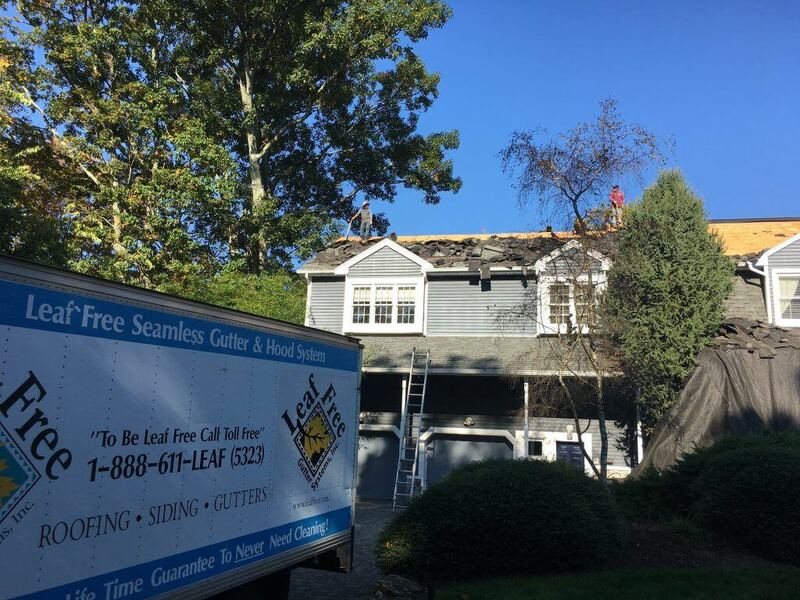 If you’re looking for a top local gutter and roofing contractor in Bergen County NJ or Rockland County NY, Leaf Free Home Improvements is here to meet all of your needs. We’ve been working since 2002, which means that we’re a name that you can trust. It doesn’t matter if you’re a home or business owner. If you’re in need of commercial or residential roofing or gutter services, there’s only one name you need to remember – Leaf Free Home Improvements. When you need a new roof in Bergen County NJ or Rockland County NY, it’s important that you call a company you can rely on. Leaf Free Home Improvements has a great deal of experience in the local area and roofing is an essential part of our business. 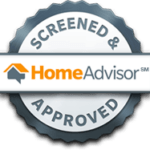 This means you can be sure you’re getting the quality you need for a roof you can enjoy for many years to come. We believe in using the highest possible quality products and backing up our work with a 10 year warranty. In addition to new roofing, roofing repair in Bergen County NJ or Rockland County NY is one of the essential services we offer. When you have roof leaks or other issues, it’s important to have someone you can trust on your side. An expert from Leaf Free Home Improvements will arrive at your property and perform a detailed check of any roof issues you may have. When it comes to repair, we make sure the work is done promptly and effectively. When you need a new gutter system in Bergen County NJ or Rockland County NY, Leaf Free Home Improvements is the only name you need to remember. Your gutters are essential to keeping your home protected from water damage, which is why it’s so important to make sure they are installed properly and of high quality. At Leaf Free, we will install maintenance free gutters which will offer maximum protection for your property with minimal stress. If you’re looking for a gutter or roof company in Bergen County NJ or Rockland County NY you can trust with your home or business, don’t forget to call Leaf Free Home Improvements today.